The November 2008 Theme Day is Books. I was a little late getting started on this one, and was looking at my personal library when the idea struck - I needed a book that had Milwaukee in it. Frank Lloyd Wright: The Masterworks is one of my favorite books. 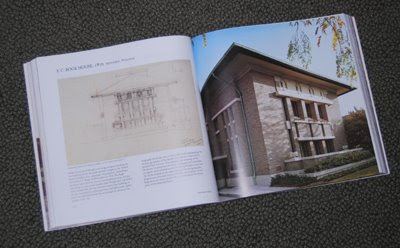 Wright was from Wisconsin and designed homes and buildings in the area. I went through my copy, and selected this home: the F.C. Bogk House, located at 2420 N. Terrace Avenue. I highly recommend the book if you're interested in FLW. Have a great November!